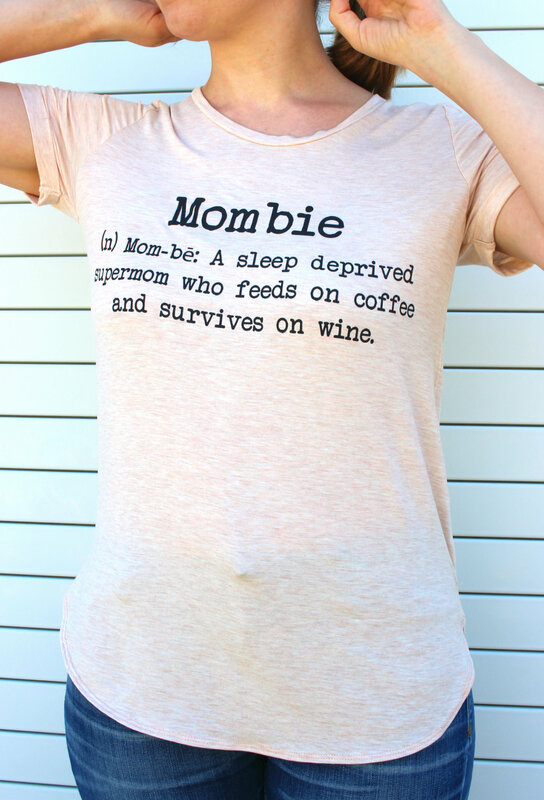 "Mombie - a sleep deprived supermom who feeds on coffee and survives on wine." 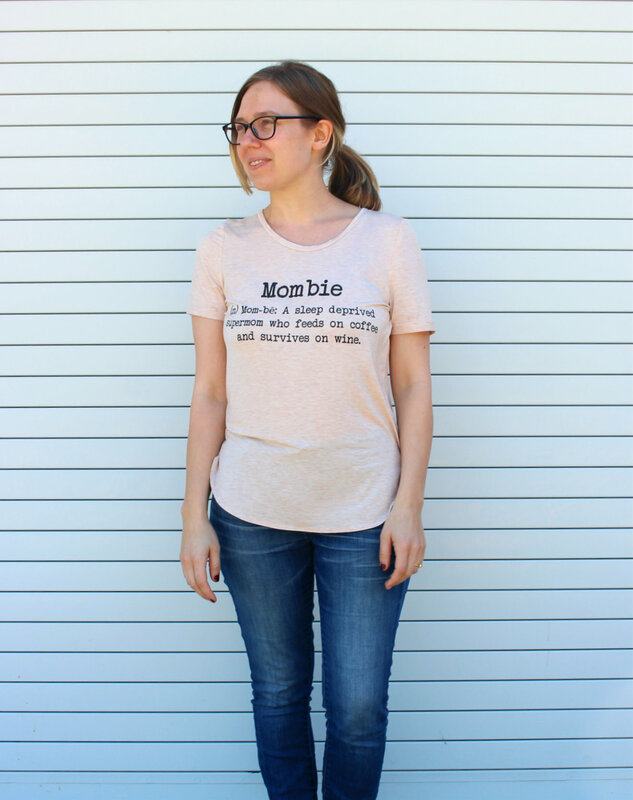 It's hard to admit until you put it on a tee shirt. Irresistible fabric. Soft pink color. Free shipping!